The school needed a pig and they needed one badly. Finally, someone told them about Queen Shinobi and they called to arrange a visit. 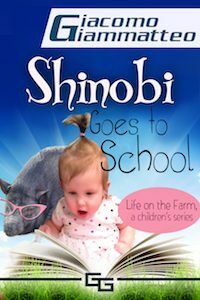 Queen Shinobi was asked to participate in a kiss-the-pig contest with the principal. This is her story. The story of how Shinobi went to school.